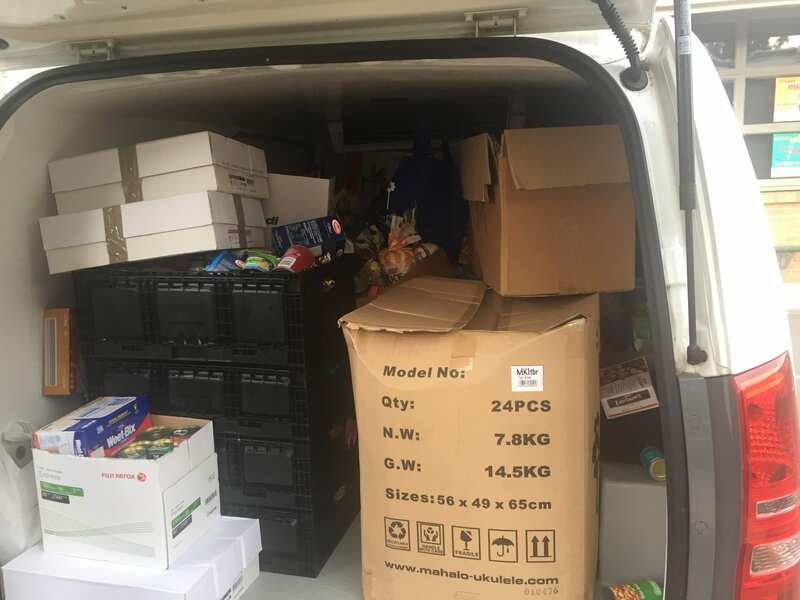 Our Social Enterprise Team of students & staff, together with the overwhelming generosity from our entire school community, donated almost 3,000 items of food & essential products to Diamond Valley Foodshare. Ian, President of Diamond Valley Foodshare, was very emotional in gratitude, when presented with the donated items, along with a monetary donation of $500.00 (raised from our Social Enterprise activities), to support this very worthy charity. The photo shown unfortunately doesn’t give a clear view of the amount of donations our school gathered, but you can see it’s full to the brim with products. We would like to express our appreciation to our entire school community – students, parents/carers, and staff – for their generosity. See our Social Enterprise Program page for more information on how our school works together to help others.